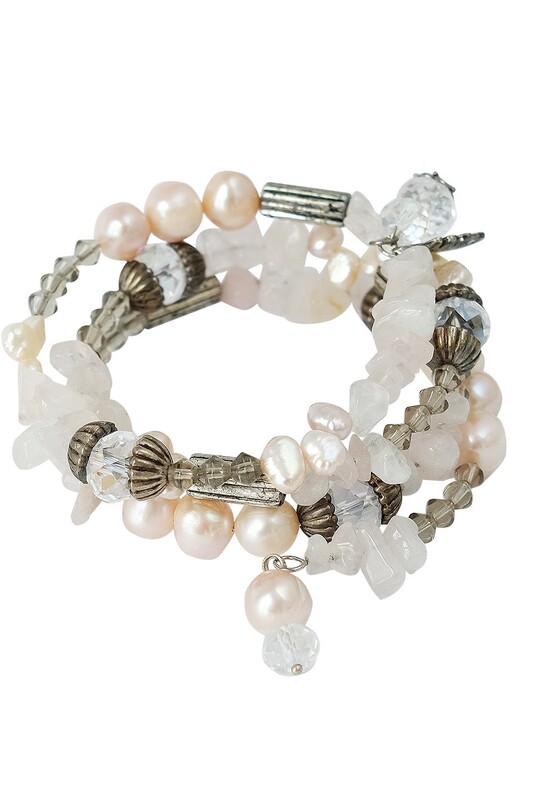 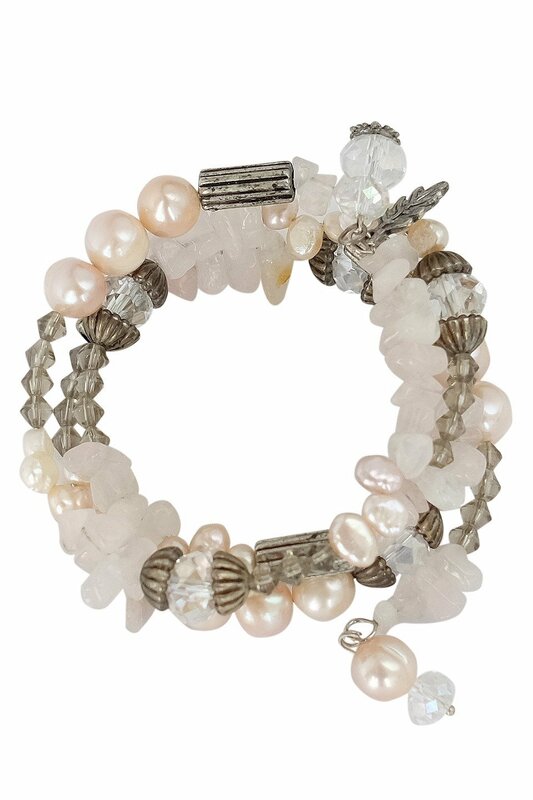 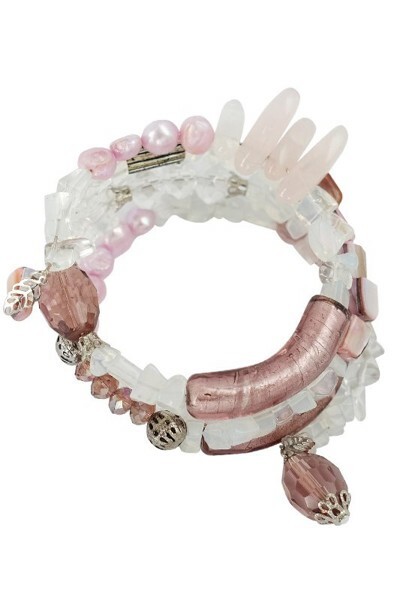 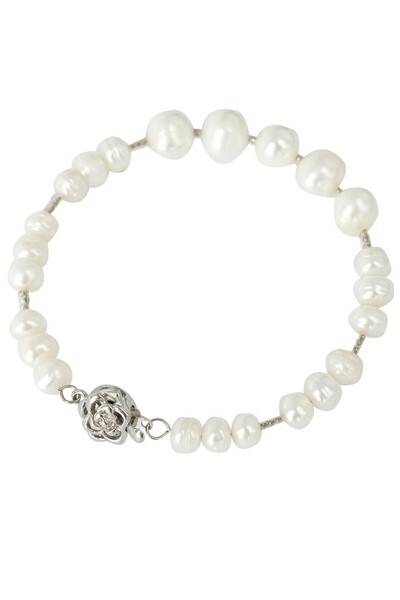 Bridget bracelet is made from plated silver findings, rose quartz, fresh-water pearls and crystals. 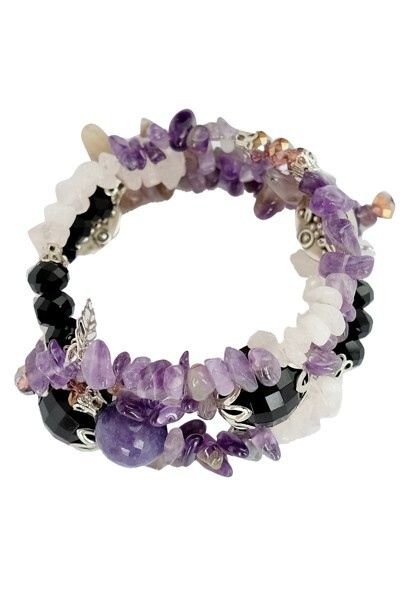 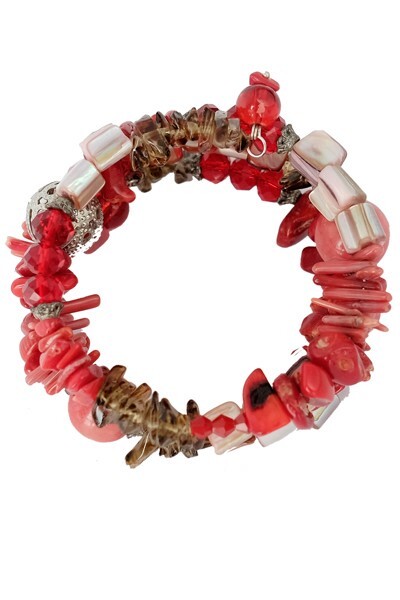 The bracelet is beaded on a spiral hoop which makes it easy to fit for any wrist. 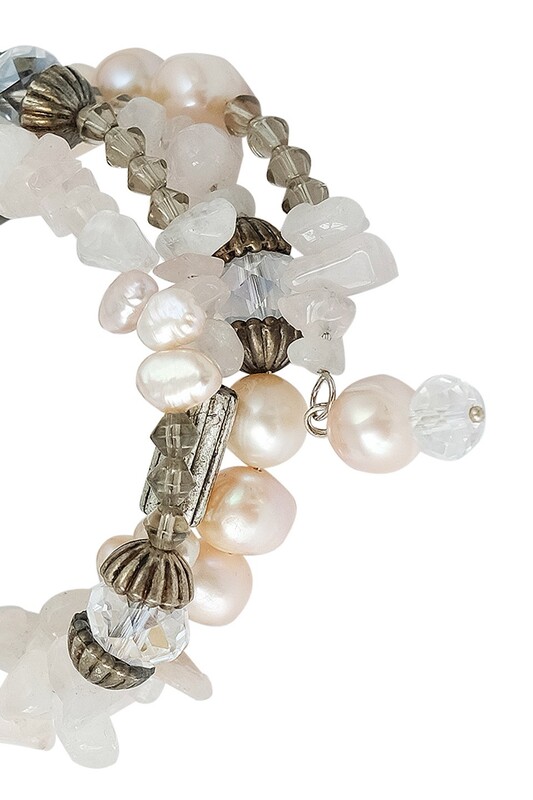 Would make incredible gifts for any woman in your life and it comes in our embossed silver bags.